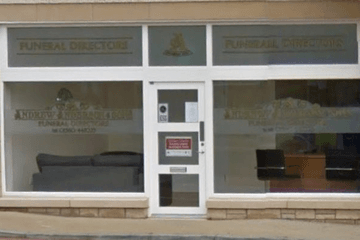 Compare funeral directors in Balfron and read verified reviews on the UK’s online funeral resource. Use Funeral Zone Listings to find local funeral directors in Balfron that meet your specific needs. You can organise the search results by ‘best rated’, 'nearest' or ‘most reviewed’. There is also a handy Google Maps feature so you can see exactly where each funeral home is in relation to each other. We knew this firm from before who had handled my stepmother's and sister's funerals with sensitivity, kindness and compassion. On this occasion of our 91 year old father's funeral, they exceeded everything we had seen before - even going the extra mile to network a superb car in which he travelled his final journey. Everything went seamlessly to plan, according to Dad's wishes and Ross and his team were on hand at all times with any family queries. As a family, we could not have wished for more …. That service was there at the outset from Dad being removed quietly from his home right through to his final journey. Thank you so very much from us all for the dignity, compassion and sensitivity we all experienced from you. We really cannot thank you enough for all the support you have given us in these incredibly difficult circumstances. Ross struck just the right balance between guiding us through the practicalities, whilst also feeling that we had someone looking out for us as we made the decisions required. And all at a time when we were dealing with something for which we were completely unprepared. For that we will always be grateful. I can’t thank Ross and his team enough for the care and service they provided for me and my family after the sudden passing of my Mum. He went above and beyond in insuring that every little detail I wanted for Mums Funeral was put in place. He has such a kind, compassionate and reassuring nature that I was immediately put at ease. He organised everything for me, from newspaper obituaries, shop window notices and even flowers. Nothing was too much trouble and he assured me that I could call him anytime night or day if I had any questions regarding the funeral. He made sure the funeral was everything I wanted for Mum on the day. Ross even called me a few days after the funeral to check if I was alright. He’s a true professional and I can’t thank him enough for all his hard work and I would recommend Andrew Anderson & Sons to anyone.